The Altar at Errew Monastery "Errew meaning 'Arable Land' is noted for archaeological features such as forts and souterraines and a Franciscan monastery"
"Back of Errew Monastery with Graveyard in view"
"Errew Monastery French Hill Wells in General Interesting Facts Local History Errew's Souterrains"
The Great Famine was a time of inordinate suffering and loss in Mayo. 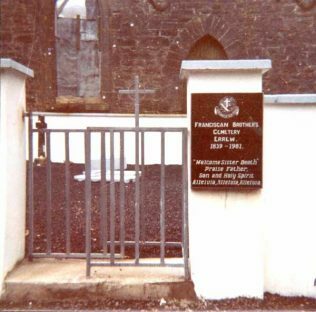 When one reads the newspaper archives on-line as they now are and in local libraries, it is evident that the Catholic clergy of the time played a central and now virtually forgotten role in famine relief, attending to the sick and dying, and in many cases recording the daily horrors that were taking place in the recesses of the dark cabins that the authorities had turned a blind eye to. Hugh Bernard Garry, a Franciscan, was one such man. Finding details of where he was born or what his family circumstances were has proved difficult. Nevertheless there is more than enough evidence to justify the inclusion of Hugh Bernard Garry in any list of Mayo People and to acknowledge his efforts in education, religious instruction and relief of the poor, sick and dying before, during and after the Great Famine. Hugh Bernard Garry was Superior at Errew Monastery. Past Pupils of the Monastery have included James Daly, co-founder of the Land League; and Thomas Noel Mitchell the first Catholic to become Provost of Trinity College Dublin by normal process of election (See: http://www.tcd.ie/provost/history/former-provosts/tn_mitchell.php). The first stone in the construction of Errew Monastery was set in place on Tuesday 20th July, 1840 by James Hardiman in the presence of a large crowd of dignitaries and local people. Hardiman was born in Westport around 1782. His family had an estate in Mayo. He qualified as a lawyer and took a role as a Sub-Commissioner of public records at Dublin Castle. In later life he became librarian of Queen’s College, Galway. 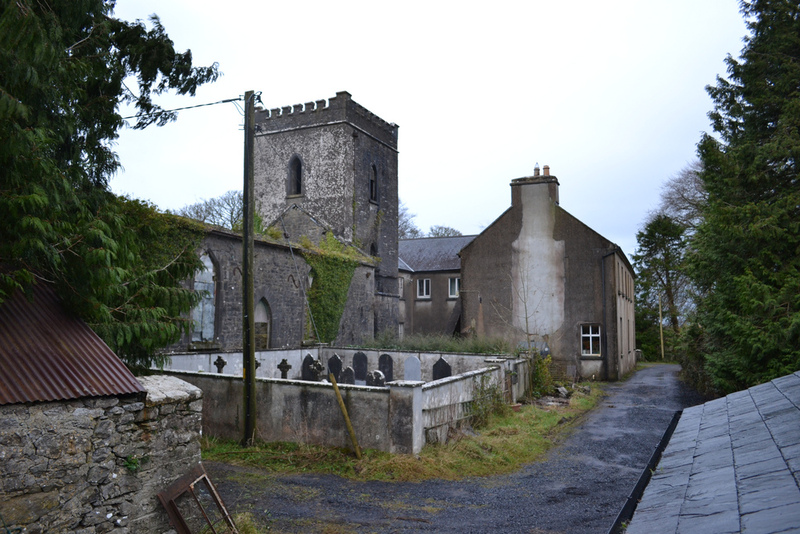 Those present that Tuesday almost 175 years ago included the Archbishop of Tuam, the Very Rev. Dean Burke; Rev. R. Gibbons, P.P of Castlebar; Rev. James Browne, P.P; Rev. Sheridan; and many other Catholic Clergymen. It was reported that Hardiman placed “one of each of the coins of the realm, and several very ancient coins, some of which were current during the reign of Queen Anne” under the first stone. After this task was completed the Archbishop gave an episcopal blessing and addressed the crown for some 20 minutes in the Irish language. He thanked Hardiman for his generous donation of the 10 acre site at Errew under a lease forever at no rent. Hardiman also made a substantial financial donation to assist with commencement of the works as well as a library and other items of interest and utility. Following the ceremony Rev. Gibbons hosted an event for the clergy and Hardiman. The Monastery was to be under the protection of the Archbishop of Tuam and run by the 3rd Order of St Francis. In addition to the contributions from Hardiman, the construction works were also funded by substantial public donations. Further books, globes, maps and other necessities were also procured. Teaching was to be in the Irish language and the Reverend C. Kelly was appointed Chaplin to the Monastery. Mass was to be celebrated on Sundays. Thousands of people gathered for the ceremony and after episcopal benediction the large crowd listen to an address given in Irish by the Archbishop together with a eulogy on James Hardiman. After the gathering Brother Garry entertained the Archbishop and clergy at the Monastery. 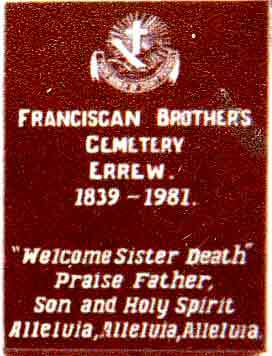 On 23rd September, 1849, in a letter to the Editor of the Freeman’s Journal, Brother Silke, writing from 21, Upper Ormond-Quay, Dublin thanked Messers Lawler and McLaughlin at the Irish Gas Company as well as the English Gas Company for donations of £1 and 1l. 7s raised from poor labourers for famine relief. Brother Silke called for further donations for the support of the children being educated at Errew Monastery and the suffering poor. On 23rd October, 1849 Brother Silke wrote to the Editor of the Freeman’s Journal acknowledging receipt of £1 from the Irish Gas Company and £1. 7s from the English Gas Company. In the spring of 1850 Brother Garry had reason to be concerned. Concerned for his own hard earned reputation and undoubtedly the reputation of the community at the Monastery. The source of the anxiety was a letter, published in the Mayo Constitution on 12th February of that year. The letter suggested financial impropriety at the Monastery in connection with charitable donations. 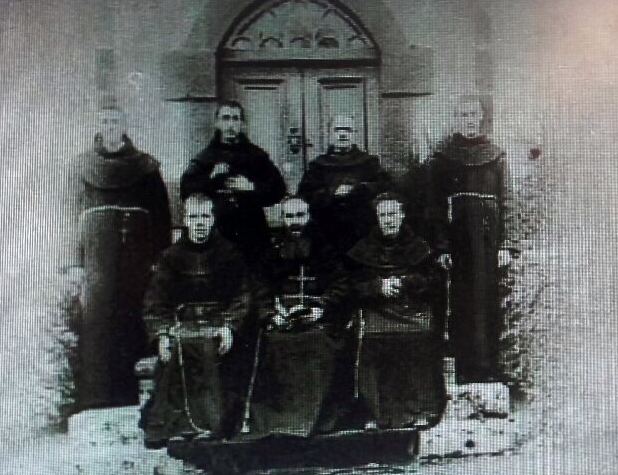 It is evident from records of the time that the Monastery was, from the time of its foundation in the early 1840s, heavily reliant on charitable donations from Ireland and abroad and Brother Garry and his superiors had worked hard in this regard. To coincide with the publication of the auditors favourable conclusions on 25th February, 1850, Brother Garry wrote to Frederick Cavendish at the Mayo Telegraph enclosing a number of letters. These letters were published by the Mayo Telegraph on 27th February and provide further detail on the background of the affair. The Earl’s response dated 7 February was no doubt a surprising read for Brother Garry. “11, Carlton Terrace, London, Thursday, Feb.14th 1850. My Dear Sir – The letter is destroyed, but I find it entered in my book as £15 to the Rev, – Swayne, and dated 3rd January. I remember now that the writer described himself as Chaplin to the Monastery, and stated that Brother Bernard Garry was no longer the superior;therefore, I hope it is alright after all, and that the only reason you were not informed upon the subject was,that you and the Chaplin were both writing to different people, and did not inform each other of the names of those from whom you had received donations. Five days later the Earl wrote to Brother Garry confirming that Brother Garry could make any use he pleased of the letters he had written to Brother Garry regarding Swayne’s swindling. Brother Garry and the Franciscan community at Errew had been vindicated. 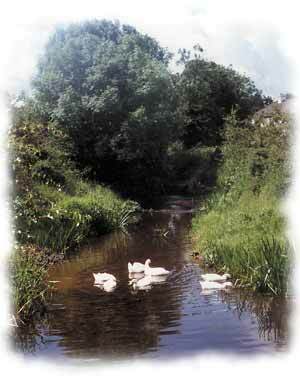 Brother Garry died on the 29th August 1865, he is buried at Errew Monastery. 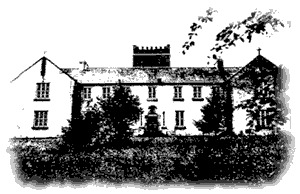 There is still a school at Errew but Errew Monastery is sadly no more. I recall as a very small child one of the Christian Brothers calling to our home at Tully asking when I would be starting school at Errew but in the event I attended Belcarra N.S. 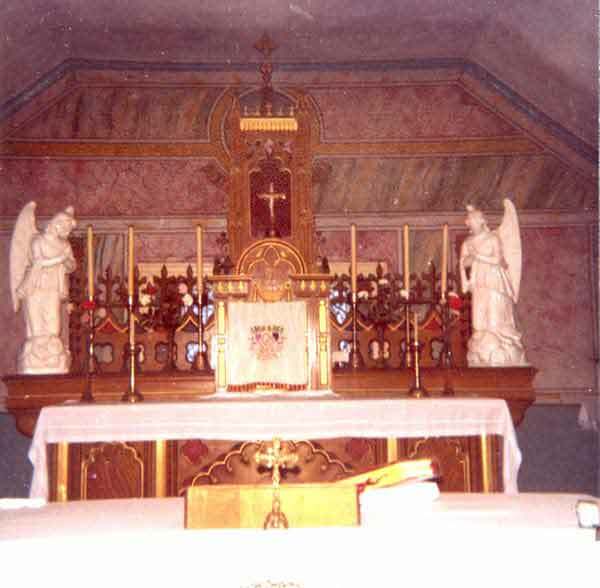 I also recall sometime in the late 1970 attending a movie there on the life of St. Francis in one of the halls at the Monastery. My father attended school at Errew and has many great stories of helping the Monks on the farm they had at the Monastery. O’Connor, Michael M., “Alleged Financial Irregularities at Errew Monastery” Past Lives, The Belcarra Social History Gazette, Issue 2, 25 December,2014. Freemans Journal & Daily Commercial Advertiser, 24 July, 1840. Freemans Journal & Daily Commercial Advertiser, 29 October, 1841. Freemans Journal & Daily Commercial Advertiser, 11 November, 1842. Freemans Journal & Daily Commercial Advertiser, 23 March, 1843. Freemans Journal & Daily Commercial Advertiser,29 October, 1846. Freemans Journal & Daily Commercial Advertiser, 9 March, 1847. Freemans Journal & Daily Commercial Advertiser, 30 June, 1849. Freemans Journal & Daily Commercial Advertiser, 31 August, 1849. Freemans Journal & Daily Commercial Advertiser, 24 October, 1849. Mayo Telegraph, 27 February 1850. © Michael M. O’Connor, LL.B., LL.M (Cantab.) 2015.